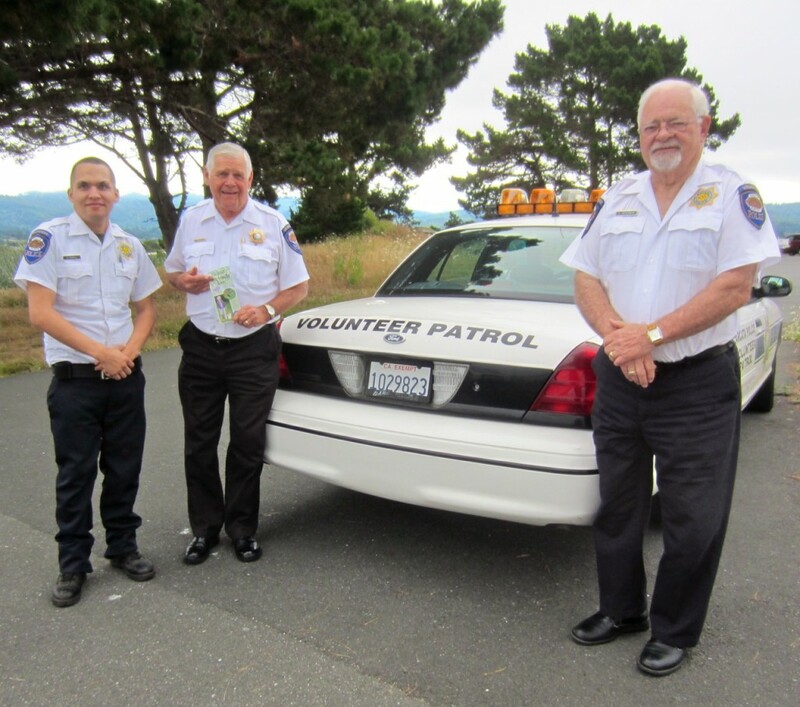 ARCATA MARSH – The Arcata Police Department (APD) and Friends of the Arcata Marsh (FOAM) are joining together to educate all users of the Arcata Marsh and Wildlife Sanctuary about the importance of keeping dogs on a leash and on trails at all times in the Marsh. The Arcata Marsh and Wildlife Sanctuary is home to the City of Arcata’s innovative wastewater treatment facility. Its 360 acres include marshes, tidal sloughs, grassy uplands, mudflats, approximately five miles of walking and biking paths and an interpretive center. Many species of birds live here year-round, and even more stop here during spring and fall migration. Along with numerous species of plants, mammals, insects, and amphibians, and great views of Humboldt Bay, there’s always something to see. Dogs are by nature curious, and an unleashed dog off trail is bound to find something that interests it. Sadly, in a wildlife sanctuary, this may be a bird or a bird nest that, even if it survives the encounter, may be disturbed to the point of malnutrition, loss of habitat and even death. Wild areas also provide dangers to dogs in the form of ticks, poison oak, aggressive native species and the occasional rabid animal. Finally, while you may see your dog as friendly and playful, others may be frightened and not wish to be approached by your dog. 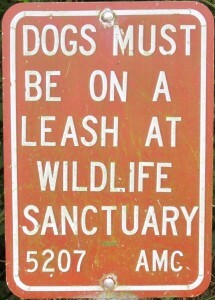 Under Arcata Municipal Code section 5207, dogs must be kept on leash at all times throughout the city, and this is of special importance in the Arcata Marsh and Wildlife Sanctuary. Allowing a dog to run loose can result in a fine of $159. Earlier this year, FOAM printed a brochure that lists areas in Humboldt County where dogs can legally be off-leash. Free copies are available at the Marsh Interpretive Center, Arcata City Hall, at interpretive kiosks of land managers listed in the brochure and at pet stores, groomers, pet boarding businesses and veterinarians. Copies are also available on the City of Arcata website (cityofarcata.org, search on “dog brochure”) and at arcatamarshfriends.org (go to publications page). Starting July 29, the Arcata Police Department and Friends of the Arcata Marsh began an intensive two-week education program at the Marsh. Volunteers are at trailheads, on trails, and at the Arcata Marsh Interpretive Center, spreading the word about the importance of keeping your dog leashed and providing information about where in the area you may legally and safely have your dog off leash. 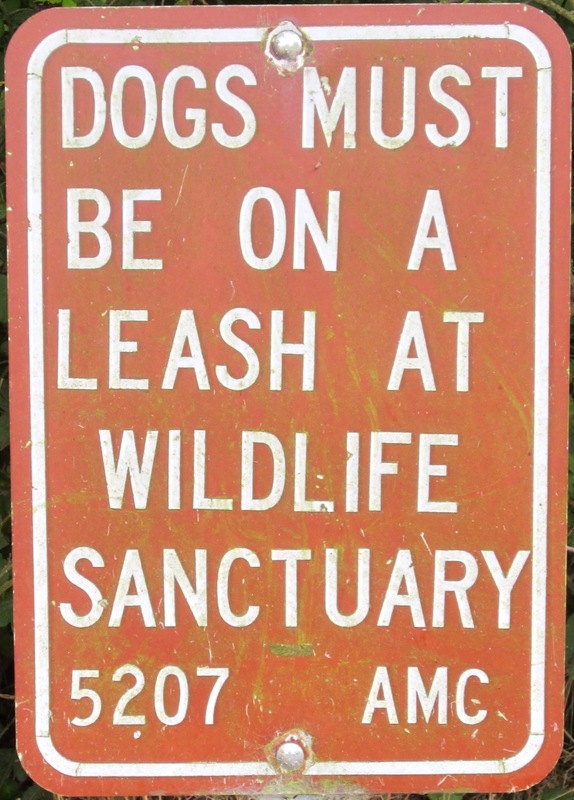 Following that period, Arcata Rangers and Police Officers will begin an intensive period of leash law enforcement in the Marsh, the Community Forest and Redwood Park, and throughout the City. This entry was posted on Wednesday, August 8th, 2012 at 3:34 pm	and is filed under News, Community, Animals, Environment. You can follow any responses to this entry through the RSS 2.0 feed.